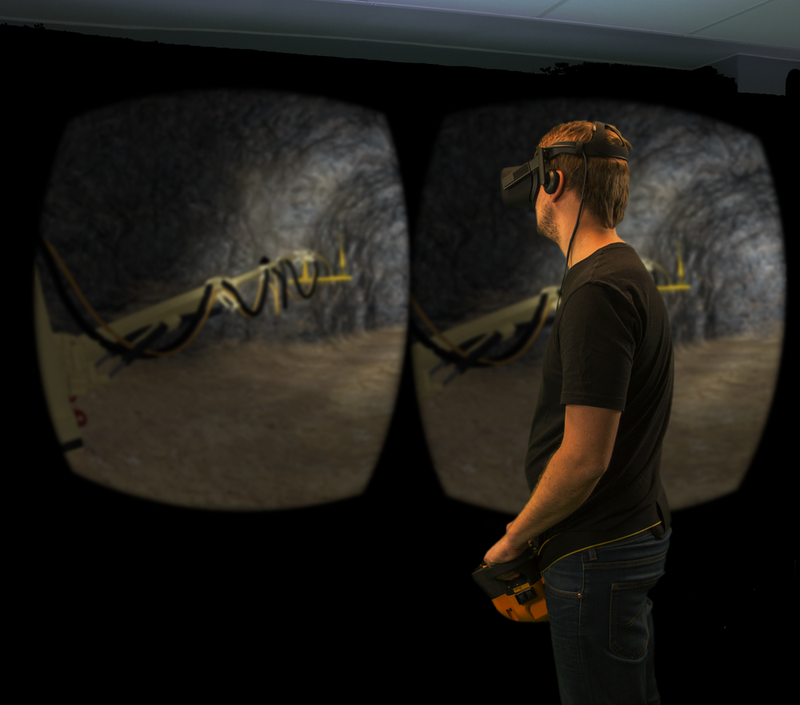 EDVIRT IS A VR AND TRAINING COMPANY TARGETING THE TUNNEL AND MINING INDUSTRY. EDVIRT TRAINS AND CERTIFIES STAFF USING VR TECHNOLOGY. THE COMPANY WILL NOW TAKE THE NEXT STEP IN ITS GROWTH PLAN; HAVING THE MANAGEMENT BUY THE COMPANY, APPOINTING A NEW CEO AND DEVELOP A NEW VR SERVICE. Eric Odkrans and Petter Börjesson founded Edvirt after studies at Chalmers University of Technology. The company has also been owned by the startup accelerator Chalmers Ventures, as well as the tunneling contractor BESAB. Edvirt has now been acquired by Eric, Petter and the company's new CEO Tomislav Rogan. The management will change in such a way that the former CEO Eric Odkrans will instead become sales and business development manager, in addition to the role of chairman of the holding company. The new owners will continue to focus on virtual education for the tunnel and mining industry, while expanding Edvirt's service portfolio and presence in existing markets. The company is, for example, planning the release of a new virtual training service during Q1-2019. Why are you buying the company? The main reason is because we believe in the company, both in terms of what we have done so far and the future strategy. Edvirt was founded in 2013 and it has been an incredibly journey. Our spray concrete simulator has gone from being a research project at Chalmers, to a requirement by the Swedish Transport Agency and a national standard in Sweden. We have developed three different products and related services that are today being sold internationally. Furthermore, I am very proud that we have implemented VR in a good way. Many companies seem to only use the technology because it's a "cool thing" - it has added great value for us and our customers. Edvirt has in a short period of time established itself in the tunnel and mining industry, and we have customers all over the world. Our subsidiary in Australia was started with a minimum budget - and now, after two years, it has already reached break-even. We have developed Edvirt with a strong focus on sales and customer financing and so far we have not received one dime in venture capital – therefore it is even more exciting to show sales of approximately 8.5 MSEK in 2017 and an operating profit of about 1 MSEK. It feels like the right timing to make an ownership change, keep momentum and accelerate forward. Why the change of CEO? I am very pleased that Tomislav is joining the team. I have know him since the university and we have worked together before. He is extremely industrious, structured, and capable of leading people. AND we have fun together! Having Tomislav join the team, I will be able to focus more on what I like the most - sales and leading our sales team. We want to increase the company's sales so I think its best if I focus my energy on that. How will the Board be constitued? It will change somewhat. In the last two years, Petter Börjesson, Jan E. Liljeqvist, Lars-Göran Dahlqvist and Christian Kleen have served as Board members. I would especially like to thank the last three. Lars-Göran and Christian at BESAB have also really proven that their company cares about improving the tunnel industry. However, the person who has contributed the most has been a substitute, their CTO, Tommy Ellison, who came up with the idea of spray concrete simulator to begin with. Tommy is a technical genius and a great asset for us and also the entire tunnel industry. I have known Eric for many years now and I've followed Edvirts development from the start at Chalmers. I am very happy to take a place in the team and I look forward to have Edvirt gearing up. An exciting time is awaiting, where our focus will be on strengthening our home markets Sweden and Australia, as well as increasing the number of international partners. We are also working on a new virtual training service for the Australian mining industry, which we are looking forward to launch. Our goal is to grow Edvirt while at the same time maintain good profitability. We all believe in a structure where all owners are active in the company and we hope to take the steps required to reach 20 MSEK in revenues with a profit of 20-25% over the next two years.